Jon Abbott guides us through the health risks of playing the most popular app in the world. POKÉMON GO is one of the most popular smart phone apps of all time, reaching over 100 million downloads and a providing a daily revenue of over $10 million for its makers. Loved by kids and big kids alike it’s a multi-generational augmented reality game that has taken the world by storm. But with all the hype it’s often too easy to overlook the risk, and this has led some to injury and worse. In this article I’m going to thrust you into the fantastic world of Pokémon Go and talk you through the risks and dangers that this app can bring upon players young and old. For those unfamiliar with Pokémon Go (where have you been? ), it’s a smartphone app based on the popular 90s computer game and cartoon about a kid called Ash and the animals who inhabit his world, called Pokémon. In the original game, you control Ash as you wonder about his world capturing wild Pokémon, training them and bringing them into battle against other Pokémon. 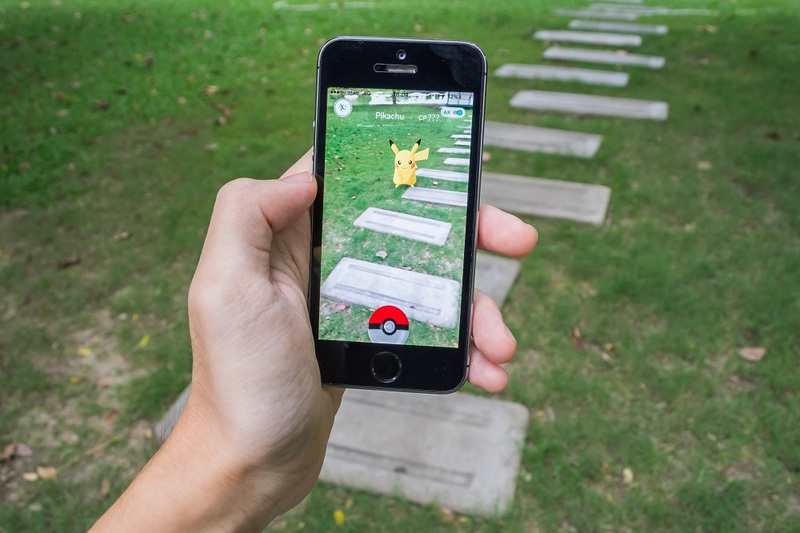 The smartphone app uses ‘augmented reality’ technology to map Pokémon into the real world where you play the trainer. This means you get to walk around your neighbourhood finding all the Pokémon and battling them against other players’ Pokémon. The popularity of the app, one of the first of its kind that successfully uses augmented reality, has led some conservative voices to criticise the game for forcing kids to spend even more time playing with electronic devices. From my perspective though, there are many serious dangers that we need to address if we want our children and young people to reap the benefits of such games while avoiding injury. and backs can often be positioned at awkward degrees for sustained periods of time. With that sort of sustained strain on muscles and ligaments it’s no wonder that we are seeing a large increase in the number of children self-reporting neck and back pain, as identified in the previous issue of this very magazine (see Generation Pain for stats). Device size also causes other issues too. When battling, a frequent occurrence in the world of Pokémon, you bash thumbs and fingers against the screen in an attempt to defeat other Pokémon. Couple that with the continued requirement of using your thumb for navigating and capturing wild Pokémon, and you’ve got a perfect combination for prolonged pain in the hand and forearm. You see, our little fingers and opposable thumbs are great at doing some actions, like holding and grasping tools or other implements, but when you use them too frequently for these types of mini actions it can lead to discomfort and eventually injury. That’s certainly going to cause pain for older people, but it’s a particularly egregious recipe for children whose muscles and bones are still developing and to which damage can impair healthy growth. When we consider the length of time young people spend playing Pokémon Go, often many hours at a time, the effects mentioned above can be quickly exacerbated. It is advisable to take frequent breaks during gameplay to avoid immediate discomfort and gradual damage. But the impact of extended gameplay doesn’t just end there, there has been much research into the effects of screens on young eyes. 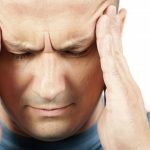 The continual focusing and refocusing on new and different elements within the game means continual strain to eyes, and can mean blurred vision, irritation, headaches and more. These are usually temporary issues but none-the-less extremely unwelcome. And let’s not forget, there’s a direct connection between the eyes and the brain, which processes those flickering and changing images as the screen changes and morphs when the player moves between different elements of the game. This processing power can be quite demanding and intense activity not only makes eyes feel tired, but makes the head feel fatigued too. This sensory overload causes mental fatigue, which can cause problems when sleeping (particularly restorative sleep) which can make children moody and unable to pay attention. This is an uncomfortable truth about screen use and could potentially lead to long term issues if sensible gameplay isn’t observed. Where sensory overload is concerned, it doesn’t just stop there, we witness the impacts of these kinds of games on young people all the time. One of the most troubling is the psycho-social effects. 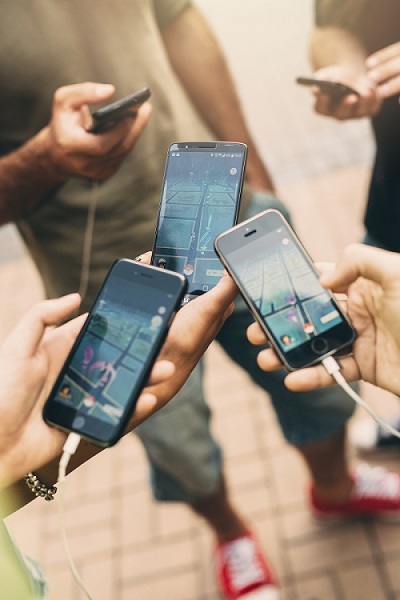 Young people who spend such a long time one-on-one with devices often show signs of poor communication skills, an inability to make friends and reduced social development. As the game is played in the real world, there are a number of legal and criminal issues that have often been humorously reported due to the bizarre nature of such incidences. In the US, there have been numerous incidences of reported trespass, both on federal and private property. One class action lawsuit against Pokémon Go creators Niantic has brought together private property owners, with one plaintiff claiming that at least five players have knocked on his door asking to play the game in his garden. In the UK there have been reports of coastguard crews sent out in the early hours of the morning as 20 teenagers tried to steal a boat to catch a Pokémon. Others have become victims of crime themselves, with regularly reported muggings and robberies of distracted Pokémon players who make easy targets for criminals. numerous crashes representing a serious risk to safety and life. This usage has also led to a number of arrests around the world. Despite all the negatives, as parents, friends and relatives of young players, the game isn’t all bad. Like everything, moderation is key. There are a number of health benefits of Pokémon Go, such as increased outdoor activity, particularly walking and cycling to destinations. It’s often the case that Pokémon Go players play with friends, increasing exposure to other young people, which is vital for good social development. Then there are also other benefits around mapping the environment, exploration and examination of the world outside. Finally, this unique app also allows the player to develop a greater understanding of the power and invention of technology, which opens up new avenues of thinking and creativity. This article appears in the Autumn/Winter 2016 edition of our ergonomics magazine Cardinus Connect. Download it here. In recent years we’ve developed a resource space for helping children and young people combat the risks of technology use combined with unnatural posture. It’s called Healthy Working MOVE and you can find it at the link.